Our History » Mass NOW INC. 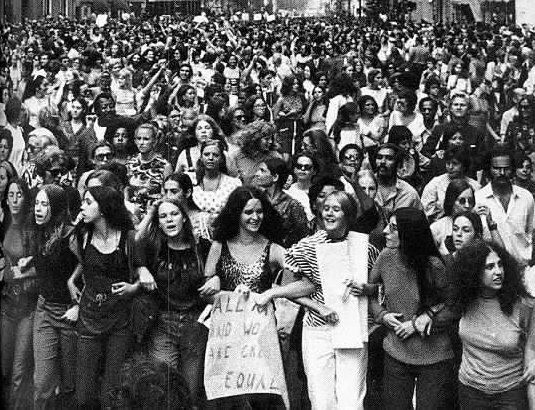 Founded in 1968, the Massachusetts Chapter of the National Organization for Women (Mass NOW) is a multi-strategy grassroots feminist organization in the Commonwealth. NOW began as a grassroots organization and continues to draw strength from the nationwide network of local NOW chapters. These local chapters receive support from Mass NOW and National NOW and focus on the issues within NOW’s purview that are most relevant to their local communities. Mass NOW focuses on statewide activities, issues, and legislation, and receives support from National NOW. This coordinated effort ensures that each NOW organization is concentrating on the issues most important to their jurisdiction, and yet that NOW, as a whole, is consistent in its mission. This page is a part of Mass NOW Foundation & Inc.